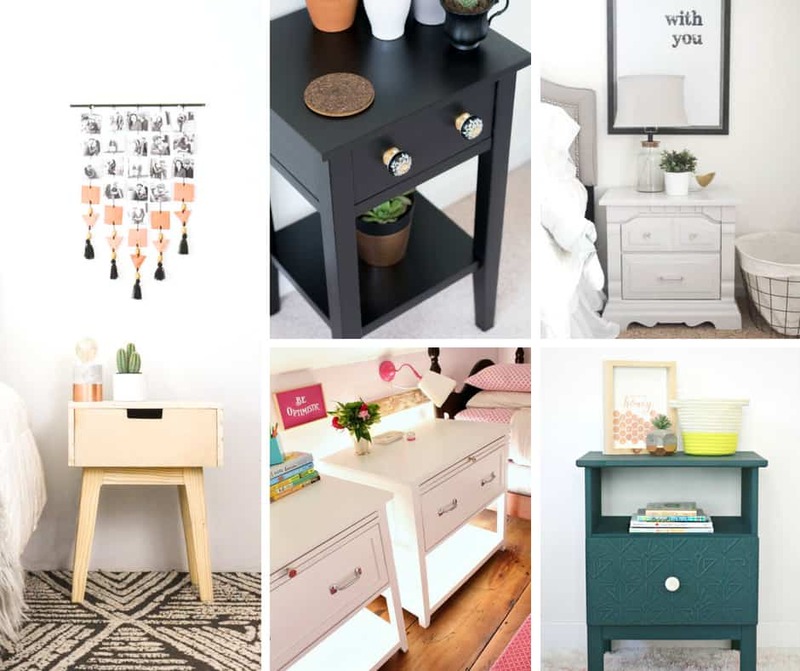 DIY Nightstands and Bedside Tables help transform the look of any bedroom! The best part? They’re easy and inexpensive to make! I love changing up my bedroom decor, but my budget? It’s not so crazy about me buying new bedside tables everytime I want a new look. 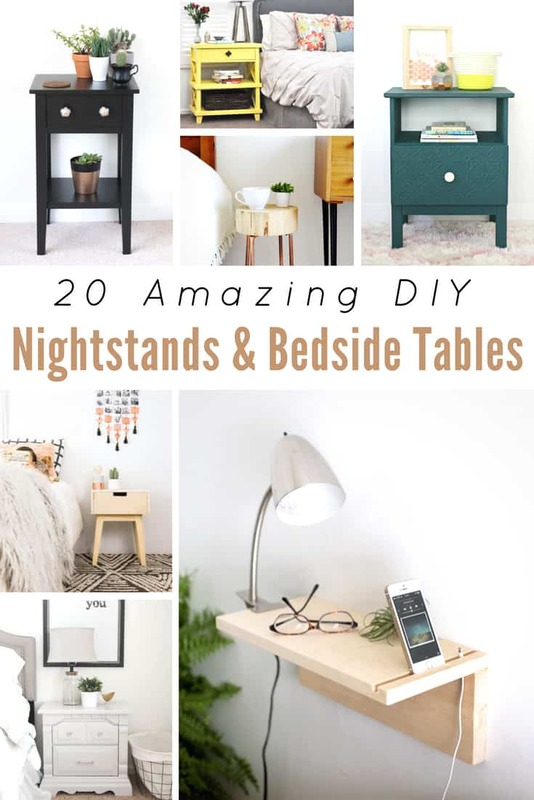 After some searching, there are a ton of DIY bedside tables and nightstands that I can make myself that look great! From farmhouse to contemporary, there’s a style for everyone! Some of the designs reuse existing furniture and spruce it up with paint and new hardware. It’s a terrific way to upcycle old pieces laying around the house or to breathe new life into pieces picked up at yard sales. In fact, one of my favorite projects was redoing a heavy, old nightstand that my neighbor had sitting out on the curb for free one day. A little sanding, some new paint, and some colorful knobs from the home store turned it into a brand new piece of furniture for my daughter’s room. If you’re not especially handy, don’t worry! There are some easy bedside table ideas that don’t require much work at all. Sometimes all it takes is a table covering and some well-placed accessories to make it amazing. So, give it a try and spruce up your bedroom with some beautiful (and inexpensive!) 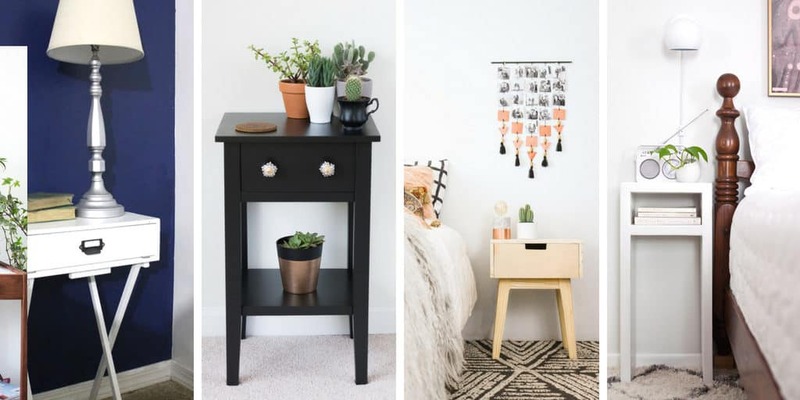 new DIY bedside tables and nightstands! Have you redone a bedside table or nightstand? We’d love to see it! Tag us on Instagram @IWishIWasCrafty and join our Facebook group where you can post a picture! We can’t wait to celebrate your success!